We believe when high school and college curriculum incorporate service, community involvement, and social issues, students become more engaged in their learning as well as develop a strong foundation to be active, informed, and changemaking citizens in their communities both now and in the future. Learning about civic engagement and serving with community organizations helps expose students to the diversity in their community, the diverse problems that affect certain groups, and the interrelated barriers to solutions. This new knowledge becomes power for many students who find their passion, niche/personal cause, or career choice through service activities, and also through learning about (hopefully while simultaneously being motivated by) related social, cultural, and economic factors during class lectures and discussion. A service-learning model is perfect for solidifying classroom material through community service and engagement. Though there are several ways to promote civic engagement among high school and college students, service-learning includes key components of reflection and demonstration so that students can process their community engagement experience and then effectively share with classmates what they learned. When students become informed, active, and passionate about their community at a young age, they are more likely to continue to be active citizens throughout their lives. Research shows that students involved in service-learning are more likely to be involved in local, state, and federal elections, in addition to working for and supporting the issues or government candidates they care about as young professionals, later as parents, and much later as retirees. Not only are students with a community service or service learning background more inclined to be continued active community members, they are also better equipped to serve and be a leader in their community through public or government office. Community Engagement and Public Service are sometimes used as synonyms, but they are not identical. Community or civic engagement can take several forms, but generally includes individual and collective actions designed to recognize and take on issues of public concern through political and non-political processes. Civic engagement is also at the root of democratic governance, for which citizens have the right and protection to define the public good, to establish the methods for promoting public good, and the opportunity to change institutions that do not align. Public service typically refers to being a leader in one’s community and running for public office or a government position. Public service candidates with experience in civic engagement or a history of community service will not only be more successful during an election, but also more effective at leading their jurisdiction and initiating policies that improve their quality of life. Citizens who volunteer in the community, are involved with nonprofit organizations, or participate in local, state, or national elections know the value and necessity of community engagement— awareness of community issues and needs, using their skills and knowledge to make a difference, and voting for candidates and policies that address public concerns. The most effective way to engage more citizens in society is to engage people of all ages in their community through service, educate them on the social, cultural, economic, and political barriers to the public good, as well as provide them the tools and encouragement to be informed and active during elections. Paul Loeb, a social and political activist and author dedicated to student civic engagement, urges it is educators “responsibility to use our classrooms to explore the difficult issues of our time.” Our country and world needs students who are knowledgeable and passionate about community problems in addition to being committed to making a difference and finding solutions to complex challenges. Campus Compact is a nonprofit higher education association that compiles resources for and supports all forms of civic engagement on college and university campuses. Campus Compact constantly gathers tools for educators, celebrates volunteers, and develops programs for higher education all for the ultimate goal of increasing civic engagement and community service across every institution. Their vision for the future includes the belief “that our country cannot afford to educate a generation that acquires knowledge without understanding how it can benefit society or influence democratic decision-making… We recognize that higher education must respond to community needs and democratic responsibilities with the intellectual and professional capacities demanded by today’s challenges.” NobleHour.com is also a great place for people to find opportunities for involvement and resources for empowerment. Community engagement is very important for all involved-- the community group or underserved persons, the student, partnering organizations, and the school or institution must be encouraged by college presidents, professors, school administrators, and teachers. Society needs an educated, motivated, socially conscious, and engaged public with a strong background in civic engagement ready to continually serve and work for the public good. Civic engagement as a student at a young age leads to a life of active citizenship and service. Alternative spring breaks are both a way to do meaningful work as well as step out of one’s comfort zone. Research is helpful when exploring the various options and programs. Students should be encouraged to consider their passions and interests, the time and travel commitment, cost and qualifications needed for each option. For college students, their community-service or student leadership centers/offices are often great resources for finding spring break volunteer opportunities that are both affiliated with the school or are in the surrounding area. Programs and trips offered through a university are sometimes free, or inexpensive as they are often subsidized by the college. For example, here at the University of Florida, our Center for Leadership & Service is organizing 11 different spring break trips for 2014, three of which are international, focusing on a variety of different social and environmental issues. Students can also look for spring break opportunities on their own--we recommend both online searches and word of mouth. Religious centers, like churches, synagogues, mosques, and temples can also be great resources for service trips both locally and abroad. Typically, one does not have to be a member in order to participate in their activities. Campus Compact is a fabulous organization that promotes campus-based civic engagement, public and community service to develop students’ citizenship skills, and provides tools and training for faculty to empower their students. Additionally, they have an initiative and search engine for Global Citizenship opportunities that is a great tool for both students and faculty/staff/administrators. Encourage students to explore the resources around them when searching for something to do over spring break. With some effort, students can find opportunities that provide both a fun and productive week, a new vehicle for their interests, a way to meet friends and network with others, and the opportunity to make a difference. I (Liz) traveled to the surrounding areas of Tegucigalpa, Honduras during the spring break of my Sophomore year with the Emory University Medical chapter of Global Brigades, a student-led nonprofit health and sustainable organization aimed at holistic development in Honduras, Panama, and Ghana. There are more than 6,000 volunteers from 100 university chapters from the United States, in addition to Canada and Europe, that organize and participate in trips, or “brigades,” with programs focused on architecture, business, dental, environmental, human rights, medical, microfinance, public health, or water. I was able to practice my Spanish, raise funds for needed medicine and supplies, obtain a leadership position for my second trip as a junior, and eventually receive a letter of recommendation for Medical School from our club faculty advisor. My entire experience with Global Brigades was safe, impactful, and resulted in many friendships, networking connections, and meaningful memories. 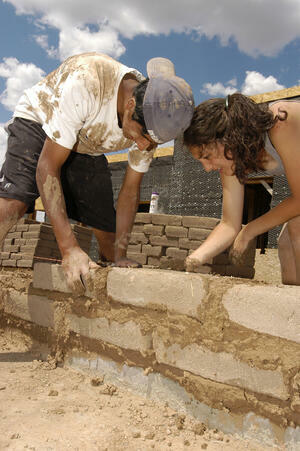 The benefits from service trips are widespread and inevitable. 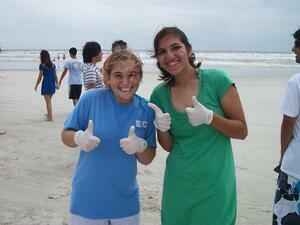 If your students have the opportunity to do a service trip abroad, they should take advantage! Encourage your students to connect with supervisors, faculty advisors, or leading students before the trip as it is very helpful to engage in team-building activities prior to the start of the trip. Valuable information about the volunteer location (especially if in a foreign country), what to bring and pack, travel arrangements if applicable, and the volunteers’ duties is very useful to have several months prior to spring break. If student’s service trip is domestic, there is even greater reason to explore the location as it would be easier to become familiar with the route, surroundings, and community beforehand. At some schools, student participants and/or site-leaders enroll in courses the semester prior to or the semester of their spring break trip in order to devote time in their busy schedules to important preparation. The lasting impact of a volunteer experience can suffer without proper reflection before, during, and after. 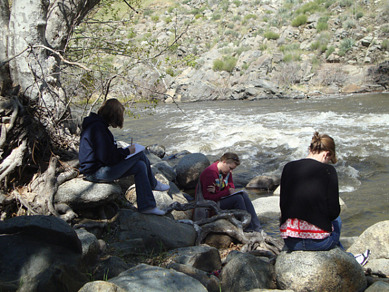 It is important for a student to set goals for their trip’s experience, even if it just to keep an open mind and write in their journal every night. There are many ways and vehicles to reflect, through photo’s and video’s (with the organizations permission first), journal writing, jotting down daily notes and observations, and sharing stories with classmates and teachers once spring break is over. Preparing and guiding a student to constantly reflect is critical for students to live in the moment while securing the lasting benefits of their transformative service. We will talk more about the importance of service reflections (and offer tips for best practices) in our next post. 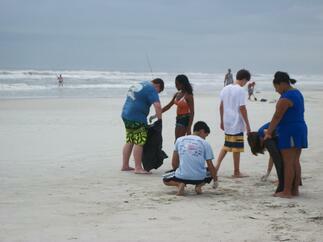 Encourage an open mind and community-awareness with students preparing to spend spring break doing service. The week-long experience allows for increased immersion, continual reflection, and a potentially greater impact due to the length of time. Emphasizing open-mindedness and cultivating an attitude of curiosity are key for students about to undertake the service trip adventure. Having knowledgeable anticipation can lead to a fulfilling, organized, and productive end-result. Information for students or faculty who want to create new alternative spring break experiences found at www.serve.gov. 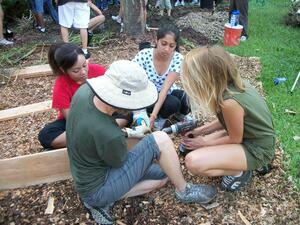 America’s Natural & Cultural Resources Volunteer Portal- www. volunteer.gov/gov. United Way lets college students spend spring break in Biloxi, MS in the United Way National Alternative Spring Break experience program. Habitat for Humanity With their Collegiate Challenge, college students work during spring break helping to eliminate poverty housing. Cross Cultural Solutions lets students immerse themselves in a variety of life changing experiences across the globe. Insight Abroad is their one-week trip program. Projects Abroad provides students with meaningful spring break experiences in project areas ranging from construction to performing arts to archeology. IERCEF- North Carolina database of study abroad service programs for students of Historically Black Colleges and Universities in the state. NobleHour - empowers students to connect with their communities. Currently there are no specfic “Alternative Spring Break” service opportunities, but there are many listings that students could engage in over their break, creating their own experience.